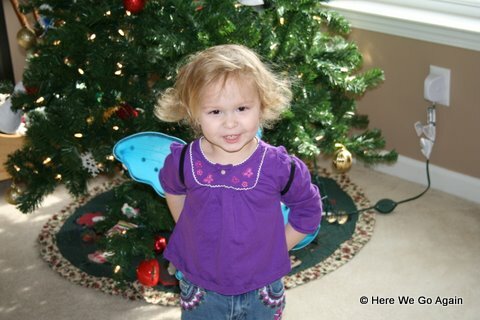 For the new year, we shall start with a picture of a butterfly baby in front of a Christmas tree. 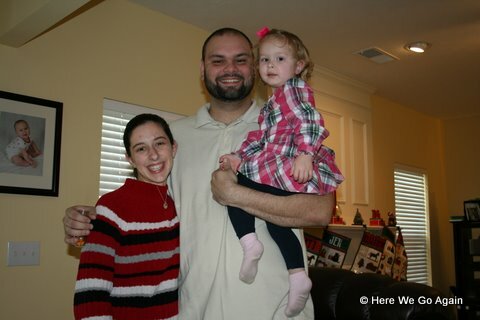 Here is a picture of the three of us before we went out to dinner for New Year’s Eve.Â We went to our favorite hibachi place and it was excellent.Â It’s always good, but it was even better than usual. Then I went to bed at 9:30pm, fell asleep long before midnight, and then was (rudely) awoken by the fireworks outside in our neighborhood.Â I complained to Matt for a few minutes and then turned the television on to drown them out and went back to sleep.